Be interesting for Facebook and Facebook will be interested in you. As you know, Facebook only shows a small number of your followers a taste of your posts. Depending on how they react to those posts, determines how many more people Facebook show your posts too. That’s why reach is such an important metric. The better your organic reach your posts achieve; the more people Facebook’s algorithm will show your posts too. A virtuous circle for great original content. 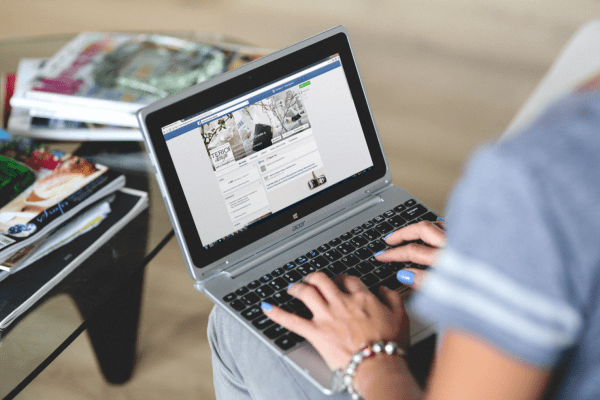 Facebook amended their algorithm in June to prioritise posts from user’s friends and family appearing in their timelines, not brands and organisations like ours. They are doing this for two important reasons. Firstly, they recognise what content their users engage with most. So in order to keep people using the platform, they need to make sure they show them the content they care about most. That’s good for us. Secondly, because they want companies that are serious about Facebook to pay. Post a dull update once a day, or a few times a week and you’re unlikely to get any engagement. So think about it from Facebook’s perspective, why promote your posts? When you think your post is of sufficient value to invest in promoting it, Facebook will work with you to find people that will be interested in seeing it. So I’m going to showcase two organic ways to grow your reach and overcome your peers. Let’s start with a Facebook competition example I’ve worked on since the algorithm changes. It has proven to be successful at driving reach and new followers. It’s a simple idea to provide a give away draw based on liking a post. Facebook doesn’t allow competitions based on liking a page, which is a shame, because this used to be much more effective at creating a lasting legacy. We offered applicants the chance to win a summer hamper. And lovely it was too. We gave the opportunity for competitors to increase their chances of winning by tagging their Facebook friends in the comments. In just two weeks, for a small local firm, we attracted over 60 likes and 25 people tagged at least 3 Facebook friends they would like to share their prize with. This single post delivered almost 5,500 people reach over the period. That’s 34% higher than the previous period. It delivered 130% more web traffic and 30 new followers. The prize cost around £60 and £15 was spent promoting the post in the first few days. Run this on a monthly basis combined with fresh, original and insightful content, and you’re soon going to be out operating your local competitors with Facebook. Facebook has been busy rolling out their live video streaming feature that launched to only a handful of celebrities in the States last year. It draws on the success of live video apps like Meerkat and Periscope. It’s made for mobile. You may have seen real-time video posts from your friends and public figures appearing in your timeline already. Just this weekend I have seen a number broadcasting traffic updates close to where I live, around the Dartford Crossing and Dover docks. Both affected affected by the summer get away. They all appeared before the mainstream media could scramble to get images. OK, traffic updates aren’t the most exciting I grant you, but imagine if you posted a 10 minute video a few times a week, on a new car in stock, an update on the markets or featured a corporate risk. You can see some more successful examples by clicking here or even better, check out live streams happening on Facebook right now here. I hope these simple approaches work for you. Please let me know how you get on.